DOGGIE'S DOING A COMEDY TURN! : SPACE RAVING WANNABE FUDGE MUNCHER! Our New Year’s Eve was celebrated with three of our lovely neighbours who came down for all manor of flavoured pizzas and cheese cakes. That shopping trolley was sure full of fun! Olivia Twist (Elsie) and I got out our begging bowls and said in our sweetest doggie whines, “Please Sir can we have some?” You notice how I didn’t say more here as we didn’t want to push our luck too much after we were given a bite of a cheese filled crust slice of pizza each. It was lush be the way. A lick of cheese cake was however a paw press on our guests jeans too far and we were told to, “Get down now dog-lets if you please.” After the pizza we all moved into the living room to play a rousing game of CHAV which caused Joolsy all manor of upset. It started well for her as she teamed up with our friend and the money was rolling in like an Apprentice candidates win total. Two players down, like skittles at a bowling alley and it was the paired up twosome versus Mum and then the fun really began. Joolsy kept landing on “Minted” and this turned out to be a double edged sword as every time they landed on it they were sent to a part of the board owned by Mum and made to pay a Mum a fee for the privilege. “How is that minted?” Joolsy started ranting, “I’d rather be minging!” Steady on Joolsy I don’t think you are really thinking this through and are getting your mind twisted in all of your competitive rage. I must explain Minging is where you pay a fine to the Banker in CHAV and Minted is where you get a “reward”. Two hours down and with New Year dawning and Joolsy’s competitive face looking more and more dower by the millisecond it was decided that we would call time on this game and add up money and assets. Joolsy and our neighbour had a respectable total of £955 however Mum had a total of £1005 and was declared the Queen of CHAV. I recall last time our two families played this game that Mum won as well. As with the newly honoured star of Luther and The Wire Idris Elba, my Mum had also learnt all her swagger on da street! Now show her some bling bling man! Joolsy was working on New Year's Day for a few hours and went into the kitchen to prepare her lunch of some cheesy bread. Mum and Dad were taking the Christmas tree and decorations down as the twelfth night comes a little too slowly for Mum’s less than traditional liking. All we heard from the kitchen was swear words then, “… This bread!” When Dad went to investigate all CSI style and he found Joolsy with a knife in her hand with a bit of mangled slightly buttered bread on the end of it. Then he looked down at the bread board to see papier-mâché… Oh no wait it was more mangled up bread. Was Joolsy auditioning for a role in the stage version of Mary Poppins? The scene being feed the bird tuppence a bag, tuppence, tuppence a bag! No, it turns out she was just trying to butter the bread and making a crumbling mess of the whole event. Then to Dad’s pure disgust she started almost pureeing it into the bread board. “What the hell are you doing? Don’t rub it into the bread board like that!” Dad shouted sort of amused and at the same time confused by Joolsy’s weird antics. Joolsy quickly piped back, “Well I’m not a Chef!” Mum came in the kitchen at this point and started giggling along with Dad at Joolsy’s extremely sincere and profound employment statement. Now I must say as a highly talented Cocker Spaniel I’m sure I could butter a bit of bread without turning it into something that resembled a Roman ruin. However Joolsy feels this is indeed a skill too far for an untrained professional. I think we should send Joolsy on Master Chef or into Hells Kitchen, it would make TV comedy gold. Joolsy would learn a whole new list of swear words to use in the kitchen from Gordon Ramsay! In fact I think it would properly tip Gordon over the edge and he’d need a stay in The Priory on seeing Joolsy’s culinary skill set. It would definitely be a Kitchen Nightmare! The fudge incident sadly wasn’t the only thing Elsie did to blot her copy book last week. She had an appointment at the Vets for her routine MOT and booster injection. Off her, Dad and Joolsy went in Dad’s Freelander 2, as it has been such a wet festive periods here in Britain that Joolsy daren’t take Primrose or Mum’s car which is also a Mini Cooper only the posh S version (see my Mum’s not so common after all). They got to the Vets and as they walked up the road Elsie did a costumery wee leaving her scent on the pavement. Then when they got inside the Vets a whole minute later she did another wee in the reception area. This from a girl who can hold her bladder for more than fourteen hours at a time where necessary. Ah she obviously wanted to show the other dogs who was the boss lady of the practice. While they were waiting a lady came in with a beautiful (Joolsy thought so, Elsie less so) West Highland White. Elsie was quiet at first then began snarling and barking. Those dog training classes really were a waste of Joolsy’s money. Dad picked Madam Elsie up and moved to the doorway to give the Westie a break from all the barking. On doing this they were called in by another new Vet for Elsie’s appointment. It is standard practice for the Vet to check you over when you go for your annual booster. I always look forward to mine as I am conditioned now to look for the treat box on the side. However Elsie didn’t realise that it was standard practice to let the Vet do his thing and examine her first by having a listen to her heart with his stethoscope. As he placed it on her chest Elsie’s neck craned around like a Barn Owl on parade and promptly tried to have a snap. Oh dear it’s a good job that Mum had warned the new Vet what Elsie was like when she made the appointment. Fortunately the Vet had the reactions of world champion boxer Tyson Fury and managed to escape unharmed by Elsie’s teeth. He decided instead of doing the usual checks on teeth (already checked those I guess) and eyes that he would go straight for the jugular and give Elsie her booster jab. This part went well and Elsie was offered a peacemaking couple of biscuits by the Vet. She turned her nose up at these. Silly girl, you could have bought them home for me to eat. Dad decided to wait in the car with Elsie while Joolsy paid the bill. You would have thought that would have been the end of Elsie’s escapades but oh no Elsie had one more trick up her furry sleeve on the way home. She jumped down into the foot well from the back seats and the next thing Joolsy and Dad knew she was climbing on the hand break, across the gear stick and onto Joolsy’s lap. Yes, Elsie is the Harry Houdini of the dog world. She won’t tell me how she managed to slip out of her fitted harness but she’s told me to tell you all that she will be performing in venues across the UK this summer if you are interested in seeing her perform more death defying tricks! 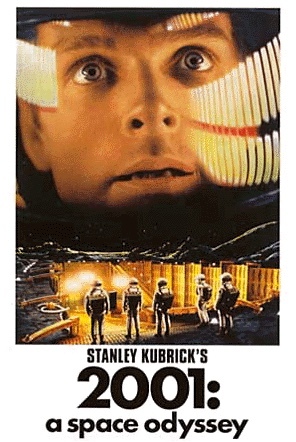 After their eventful trip to the Vets, Dad decided to watch a movie and his chosen film was the cult classic Stanley Kubrick’s Space Odyssey which turned out to be a favourite with us dogs too, Elsie was particularly captivated by it all. Now I don’t know whether watching Major Tim Peake’s rocket blasting off had inspired the wonderment of space in Elsie or it was the lights and the music that sent her into a trans like state. She just stared at the screen while the music blared out (Dad needs his ears syringing again I think). Please nobody show her footage of the 1990s rave movement on YouTube or we’ll have Joolsy wishing she was a punk rocker with flowers in her hair and Elsie Bear wanting to go back to an acid house party. Elsie will be requesting Marty McFly’s mobile number to see if the DeLoren is available to transport her back to the heady heydays of Manchester’s The Hacienda nightclub to give it some “big fish little fish cardboard box” whilst wearing a t-shirt with the famous smilie emoji on it. Of course Diva Elsie will also want to go to Manumission as well when transported back in time to get a flavour of the 1990s Ibiza club scene with Fat Boy Slim on the decks. Then when the DeLoren brings Elsie back to the modern day, poor Joolsy will be pestered paws, begging brown eyes and all to get a bar licence to reopen the famous Hacienda club for Elsie along with the youth of today to enjoy. Right with the vision of my wild haired raving pal firmly in your heads I’ll leave it there for today. Thank you so much for the follow. I will follow yours back now as I thought it was a lovely blog when I looked at it earlier today. Happy New Year to you.